(P1) The leader of the Cuban revolution and former President, Fidel Castro, who died on Friday night at the age of 90, left a strong mark on contemporary political literature, the media reported on Sunday. (P2) A voracious reader, Castro was a close friend of Colombian writer, Gabriel Garcia Marquez, who affirmed that “an intellectual friendship” united them and they often discussed literature together, Xinhua news agency reported. (P3) Castro once described himself as a “frustrated journalist” and, since leaving power in 2008, has often written opinion pieces for the state media. 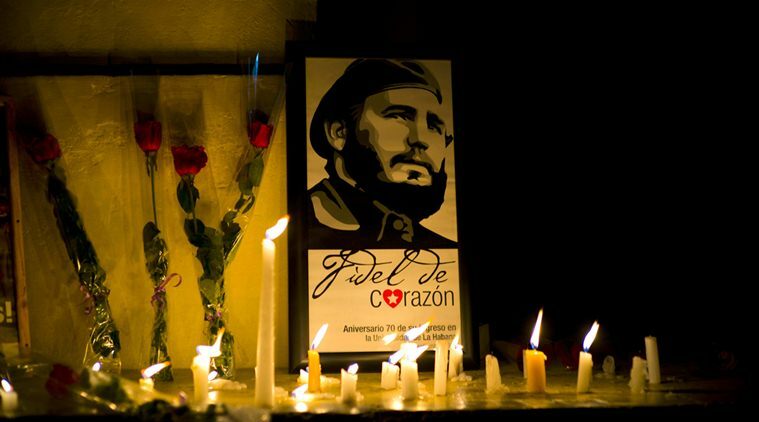 (P4) The former President has remained politically active, beginning his column, “Reflections of comrade Fidel”, in March 2007, which eventually grew to over 400 articles on international and historical matters. (P6) “While he has the strength to do so, and as he is luckily at the height of his political thought, from his modest condition of party militant and soldier of ideas, he will continue to contribute to the revolutionary struggle and to humanity’s most noble proposals,” Raul had said. (P7) Since then, Castro was rarely seen or heard in public, a fact many saw as him not wanting to interfere in the updating of the island’s economic model, led by Raul. However, Castro published a number of books, including “One Hundred Hours with Fidel”, a lengthy autobiographical interview with the French-Spanish journalist, Ignacio Ramonet, in 2006. (P8) In November 2008, “Peace in Colombia” was published, a text in which Castro revealed the inner workings of negotiations between different Colombian governments and Cuba and Havana’s participation in the Colombian peace process. (P9) In 2010, the Cuban leader published “The Strategic Victory”, chronicling his early setback in the Sierra Maestra in the summer of 1958 and his constant days of struggle against the dictatorship of Fulgencio Batista. (P10) That same year, “The Strategic Counteroffensive” was published, which was a continuation of the previous volume, containing war stories, military orders, letters, photos, and maps of the push onto Havana and victory. (P13) In 2012, came out “Guerrilla of Time”, another long autobiographical interview, spanning over 1,000 pages in two volumes, this time with Cuban journalist Katiushka Blanco. (P14) Son of a Spanish immigrant and a Cuban farmer, Castro was born in Biran, a village in Holguin province, and went on to become one of the most prominent figures of the 20th century. What do you think it was like to live in Cuba when Castro was in power? What types of literature do you like to read? Why? After reading this article, do you want to read some of Castro’s writings? Why or why not? At one point in time, Castro described himself as a ___________________. When did Castro relinquish his power to his brother? In one of Castro’s writings, ___________________, he writes about helping Colombia with their internal peace. Who did Castro overthrow to gain power in Cuba? Castro’s parents were originally from what country?